I just stepped off my first ever KLM flight and found it to be a great overall experience. 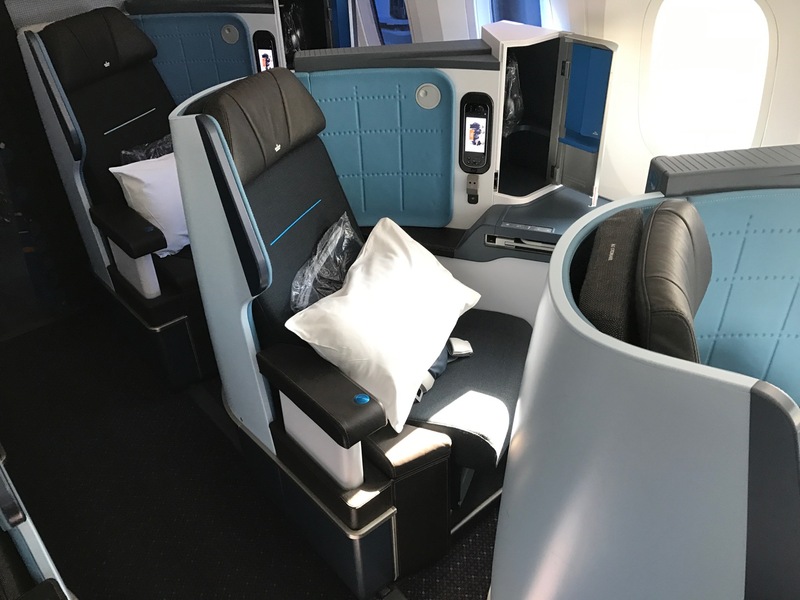 Compared to business class seats on the 747, 777, and A330, some of which are not even lie-flat, the 787-9 reverse herringbone has the best business class seat in the KLM fleet. Furthermore, onboard internet service on KLM is only available on the Dreamliner. Stay tuned for the full KLM 787 Business Class report next week! Next Article I Scored Three Little Houses on KLM! That beef stew looks absolutely incredible. Wow… looks very nice, both food and seats. I had no idea KLM could be this nice since I had previously read reviews that were not that great. We’ll be doing the KLM dreamliner business class from Calgary to Nice in September on the 787. Our return from Barcelona to Calgary is on the A330-300, also in business class. Looking forward to it.